NOAA’s newest satellite is finding it hard to keep its cool in space. The Advanced Baseline Imager aboard GOES-17. Image credits NOAA / NASA. Some two months ago, the US National Oceanic and Atmospheric Administration (NOAA) launched a new satellite into Earth’s orbit. The craft, dubbed GOES-17, was intended to be the bee’s knees of weather satellites, packing the latest technology and most accurate sensors. It did a fine job of it until recently, when NOAA reported that a cooling malfunction could negate the majority of its value. While NOAA can boast an impressive satellite array, most of them are beginning to show signs of old age. In a bid to ensure that no gap in its global coverage ever occurs, the administration has been trying to launch new ones into orbit to replace its aging veterans. 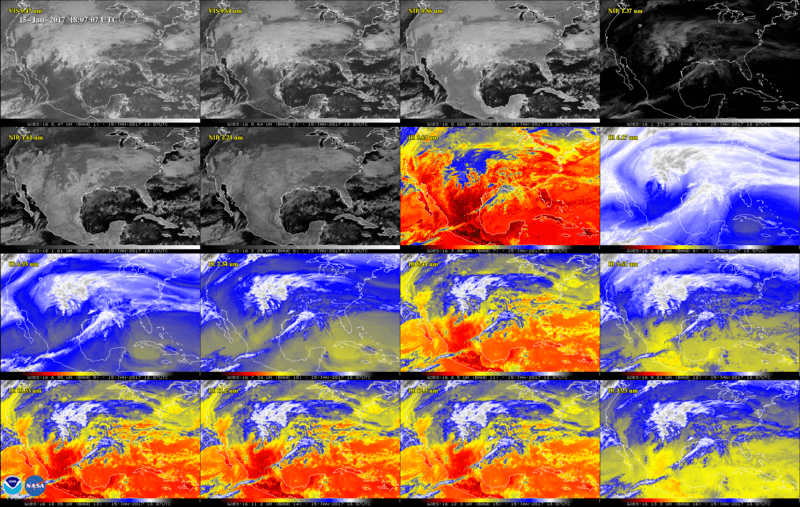 GOES-17 is the second in a new generation of weather satellites that NOAA has been developing. Its predecessor (GOES-16) was relegated to covering the US east coast following its launch, and GOES-17 itself was meant to become the new “GOES-West”, according to NOAA. The administration was keen to capitalize on the instruments aboard the new satellite, which would provide higher-resolution images of atmospheric conditions as well as track fires, lightning strikes, and monitor solar behavior. Ground control has been putting the instruments aboard the satellite to the test before the craft goes into official operation. The tests went swimmingly until a few weeks ago when it was revealed that the Advanced Baseline Imager — arguably the most important instrument aboard GOES-17 — had a cooling system malfunction. The ABI takes images of Earth at different wavelengths. This includes visible light but more importantly for a weather satellite, it also snaps shots of Earth as seen in the infrared spectrum. This latter one allows the satellite to keep tabs on weather phenomena such as cloud formation or water vapor content. The Earth seen through two visible, four near-infrared, and 10 infrared channels with the Advanced Baseline Imager (ABI) aboard GOES 16. The coolant issue, however, means that the ABI cannot currently tap into the infrared spectrum. 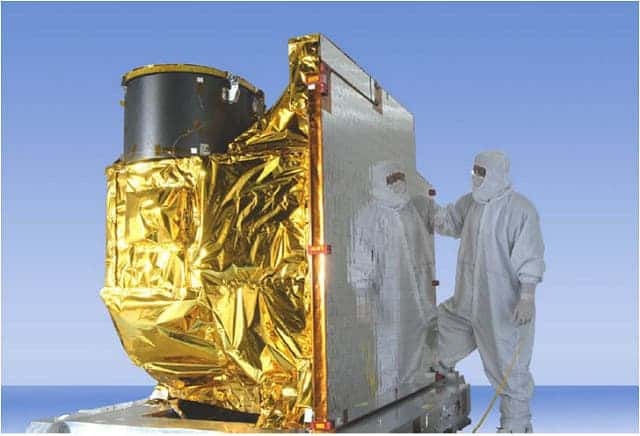 The satellite has to actively vent off heat for the instrument to function, and infrared wavelengths can only be picked up if the sensor is below 60K (-213°C, or -350°F). Currently, the cooling system can only maintain such temperatures for 12 hours a day at best — it can still view the Earth in the visible spectrum, but infrared data is the bread-and-butter of weather satellites. NOAA is currently trying to pinpoint the exact issue with the cooling system and any way to address it remotely. However, “if efforts to restore the cooling system are unsuccessful, alternative concepts and modes will be considered to maximize the operational utility of the” stricken device, they explain in a press release. It wouldn’t be a death kneel for weather forecasts — NOAA’s other weather satellites overlooking the West Coast are still in good shape — but it would be far from an ideal situation, either. GOES-17 was meant to be the highpoint of NOAA’s constellation; losing this satellite would be a blow to the administration’s morale and bottom line as well.